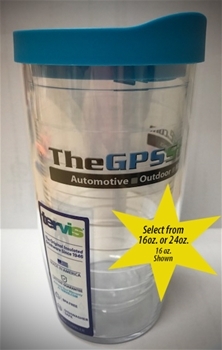 The GPS Store, Inc. Tervis Tumbler is sure to become your new favorite cup. This made in America product has a lifetime guarantee, is BPA Free and is dishwasher safe. Keep your drinks steaming hot or ice cold with the double wall insulation provided in your brand new Tervis. The GPS Store, Inc. Tervis Tumbler will quickly become your go-to cup. Double wall insulated and packaged with a spill-proof turquoise lid, this Made in America product is dishwasher safe and BPA free. The Tervis brand has been synonymous with quality and durability since 1946. Complete your Marine, Outdoor or Automotive GPS package with our custom Tervis Tumbler. The GPS Store, Inc. Freedom to Explore T Shirt.